In the United States, you are roughly 25 times more likely to die from a bee sting than a bear attack, according to statistics from the Center for Disease Control. That’s including Alaska. 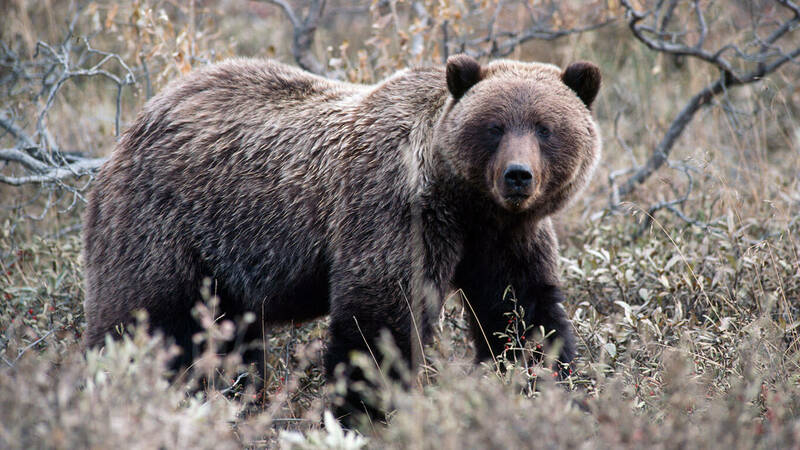 When a female grizzly with cubs injured a boy in Yellowstone in late August 2018, it was the first bear attack of any kind within the park since 2015. More than 10,000,000 visitors had passed through Yellowstone between the incidents. Bear attacks on humans are exceedingly rare, but that doesn’t make them impossible. Knowing how to travel safely in bear country is a vital skill for any visitor, both for the bears’ sake and their own. If you’re a regular backcountry traveler in bear country, you are, of course, at a bit greater risk of encountering a bear than the average American. Photographer Jim Cole made his living capturing wildlife with a camera, spending countless hours in the heart of grizzly bear country searching for the perfect shot. Remarkably, he survived two different attacks from grizzlies, while also using bear spray to prevent incidents on numerous other occasions. According to Cole, his bear encounters all had one thing in common: He disturbed a grizzly that was in their comfort zone. For those of us not seeking a close-range photograph, that’s good news. Give bears warning of your presence, and chances of an attack are low. By playing it safe in bear country, you’re not just keeping yourself from harm. You’re actively assisting bear conservation. In the Northern Rockies, where habitat loss and fragmentation still threaten the survival of many grizzly bear populations, the death of a single bear can be a major conservation setback. Too often, an encounter with humans leads to a bear’s untimely death, either because wildlife managers have deemed the bear too aggressive or because human contact begins a process of conditioning that removes the bear’s fear of people. That’s why bear safety doesn’t just mean making noise, carrying bear spray and knowing what to do during an encounter. It also means proper food and garbage storage in the backcountry and on properties near bear habitat. When human negligence provides a bear with a food reward, a downward spiral begins. As opportunistic omnivores, bears are hard-wired to take advantage of any opportunity for an easy meal. They will return to campsites, yards or ranches where they’ve scored a food reward from dozens of miles away. And when they begin to associate the human presence with food, they will no longer steer clear of people, setting the stage for close-range encounters. So when it comes to bear safety, don’t just do it for yourself. Do it for the bears and for the whole wild community that benefits from their presence on the land. With diligence from all, we can make the chances of a bear attack smaller and smaller. Watch Vital Ground’s Executive Director Demonstrate Proper Bear Spray Use! 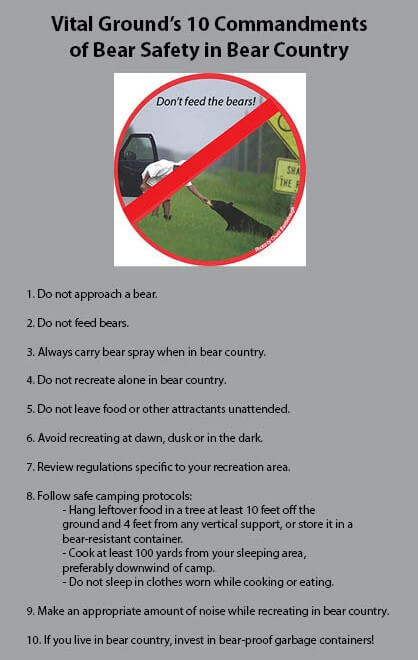 For more reading on Bear Safety, visit the Interagency Grizzly Bear Committee’s page.